All types of animals, birds & insecs are very interesting. Many are under attack, but many people like to learn everything about nature. 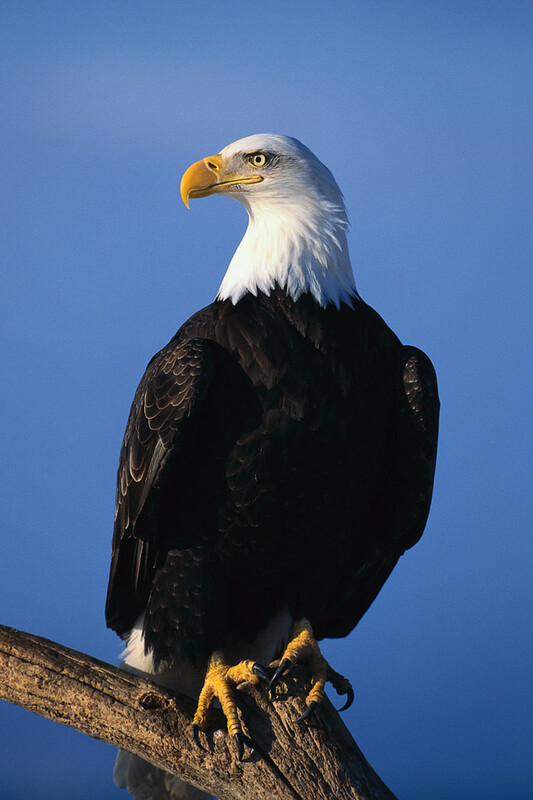 Bald Eagles are the national symbol of the United States. Legend has it that in one of the first battles of the Revolution, the noise of the battle awoke the Eagles. The eagles flew from their nest circling and crying out over the heads of the men that were fighting," They are shrieking for Freedom," said the patriots. 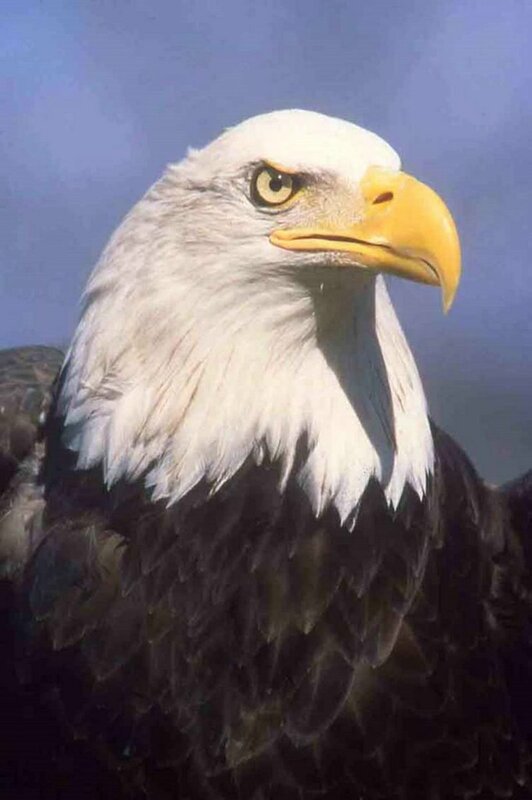 In 1782, the Eagle was chosen as the American National Bird. At this time the Eagle became the central figure in the official national seal. 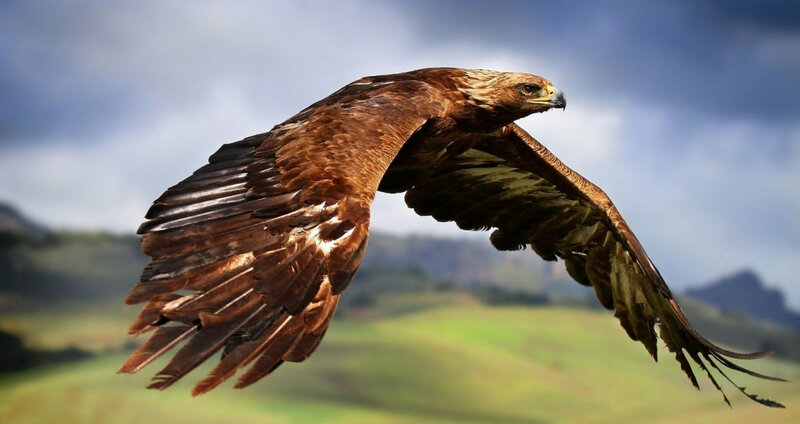 The Golden Eagle was originally chosen but since they live in Europe also, America changed to the Bald Eagle, as they only live in the United States. Charles Thomson, the secretary of Congress, actually was the person who chose the eagle. I have had the pleasure of seeing a few eagles soaring in the sky a few times in my life, and they are magnificent creatures. One of the most fascinating characteristics of Eagles is their eyesight as they can see almost 3 sq. miles when flying at an altitude of 984 feet. 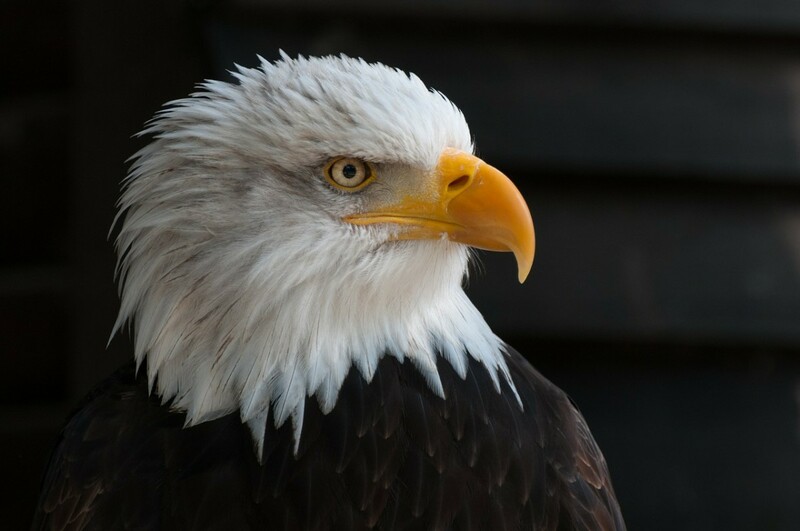 There is a Bald Eagle Protection Act that was written in 1940 and has been amended several times, however, the act prohibits the taking or possession of or commerce for the bald or Golden Eagles with very limited exceptions. It includes pursue, shoot, shoot at, poison, kill, capture, trap, collect, molest or disturb; plus it includes transporting or conveying a bird by any means. The criminal penalties include a maximum of a $5000 fine or one year imprisonment, or both. The Bald Eagles were just removed off the endangered species list in 2007 as they now flourish. An environmental organization in Maine has already found an alarming accumulation of mercury in the blood and feathers of bald eagle chicks in the Catskill Park region of New York. The Mercury is associated with reproductive problems in loons and other bald eagles in the Northeast. The toxin builds up faster than the birds can get rid of it, which is going to be a problem in the future for these birds. Houston, Tranquillity Base here. "The Eagle has landed.". Bald eagles are not really bald but covered with white feathers on their heads when they are about five or six years old. A Bald Eagle wingspan is normally about 8 feet. They usually don't lay more than three eggs and two is more common. 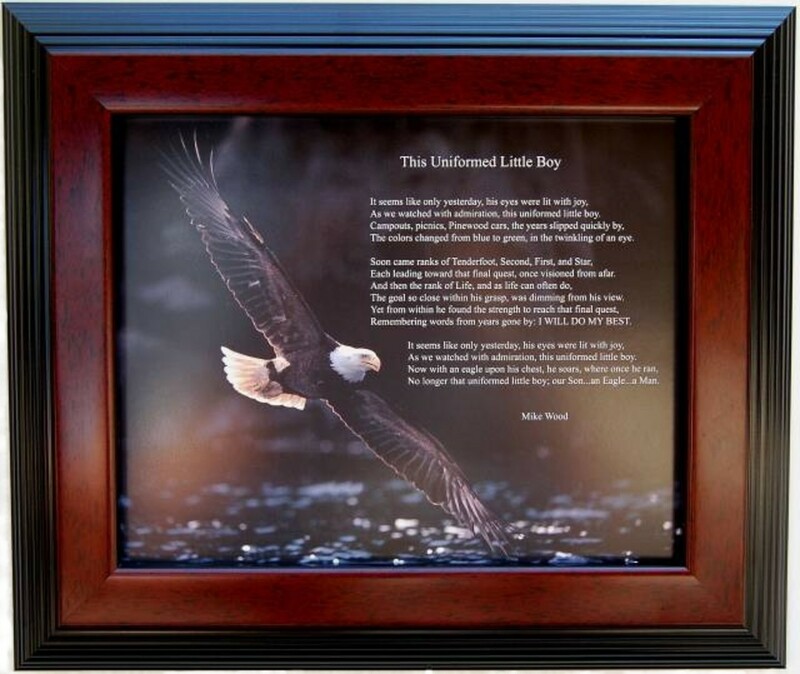 When the baby eagles leave the nest somewhere between 16 to 22 weeks, they have dark feathers all over, although they are covered with down when they are born. Bald eagles primarily eat fish; however, they also rob ospreys of their fish catches. They prey on other birds, small mammals, snakes, turtles and crabs and readily eat carrion (decaying flesh). Eagles make a high-pitched shrill, squeaking and screeching sound from the air that passes through the bones in their neck, as they do not have vocal chords. Bald eagles can fly approximately 30 mph. They are the only bird that can fly above the clouds to avoid the rain, as high as 10,000 feet. Eagles have been measured traveling 150 mph during a dive. Bald eagles live approximately 30-35 years. In captivity they have been known to live for 50 years. The Bald Eagle and the California condor are the only birds that get larger than Golden Eagle which is commonly found in western North America. They also have a large hooked bill and long broad wings. The Eagle is also used quite frequently in the Bible. But those who hope in the Lord will renew their strength; they will soar on wings like eagles; they will run and not grow weary; they will walk and not faint. 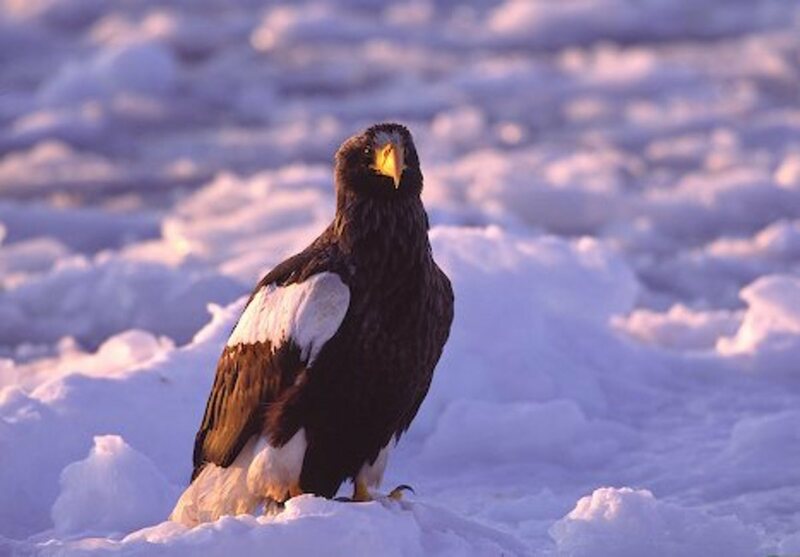 Various types of eagles reside on every continent, except Antarctica, and there are 60 different species on our planet. Eagles have powerful bodies with heavy heads, powerful beaks and claws when compared to most other birds. One of the most fascinating characteristics is their eyesight. A bald eagle can see a rabbit running from 1.5 Km. (1 mile) away. That means it eagle flying at an altitude of 300m (984 ft.) over open country could spot pray over area eight square km (almost 3 square miles. 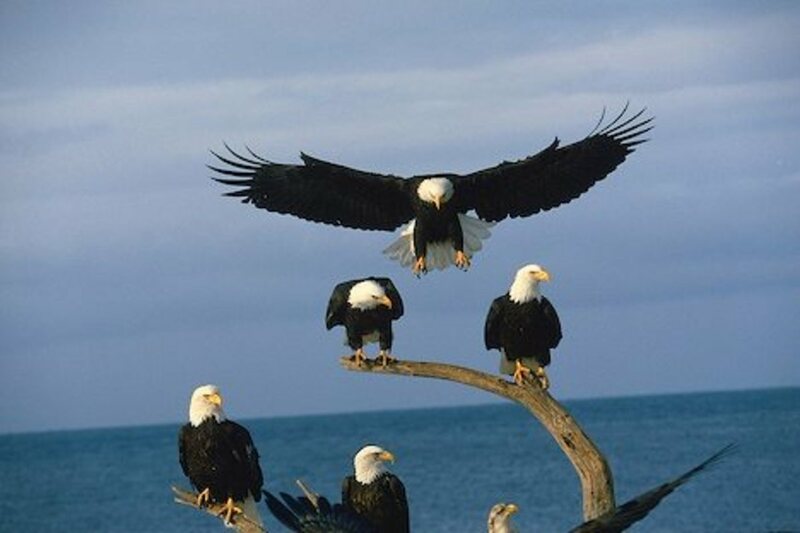 Bald eagles are also called American Eagles, fishing eagles, Washington Eagles and white-headed eagles. Our Eagle story wouldn't be complete if we didn't take a look at some of the other well-known varieties. Golden Eagles are named for their golden brown plumage, and they tend to be slightly smaller than the Bald Eagle. They mate for life and often build their nest on a cliff ledge which is protected by an overhanging tree or rock so they have shelter. The Crested Serpent Eagle (Spilornis cheela) is an extremely rare resident of the central forest of Singapore, where it is believed that one to two pairs still survive. However, for the last few years the eagle was barely seen at all. Thus the excitement it generated when the bird was recently sighted. The eagle hunts from a high perch. It sits still until it spots a potential prey among the grass. 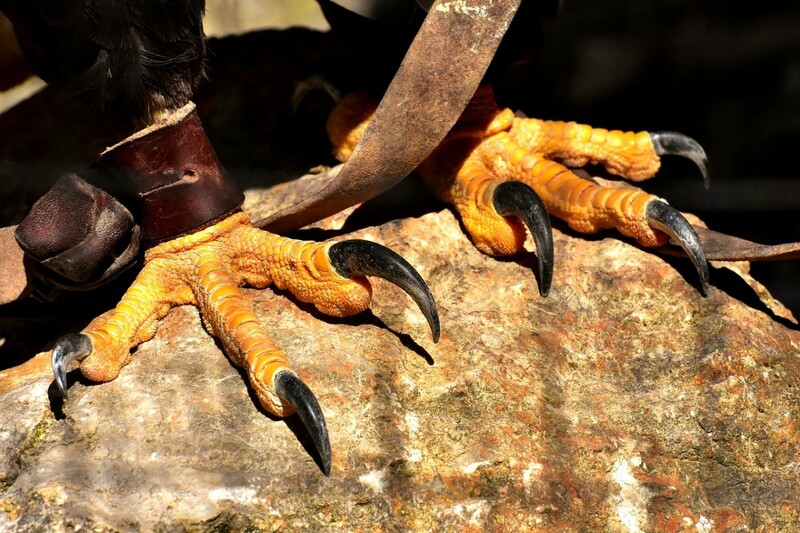 The Black Eagle lives near cliffs and mountains and is fairly wide spread in South Africa. When seen from below the black eagle has windows (clear patches) near the ends of its wings. Black eagles are often seen flying in pairs, the one slightly below the other. Harpy Eagles live in the Americas, in New Guinea and they are the national bird of Panama. They also mate for life. The San Diego zoo was the first facility in North America to hatch and successfully rear Harpy Eagle. They are largest, most powerful bird in the world; they inhabit the tropical forests of Central and South America. Stellar Sea Eagles live around the rivers in Japan and Russia and usually spend the winter in the southern Kurial islands in southern Japan. 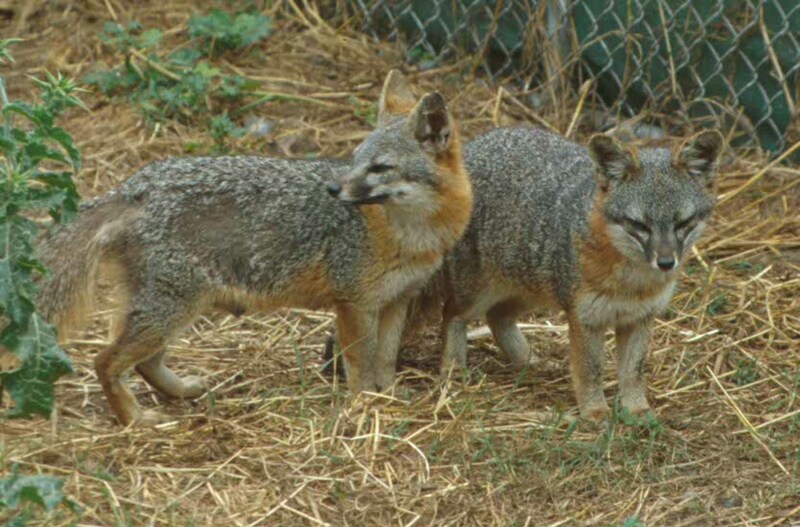 They are also considered vulnerable due to industrial pollution, over-fishing and their habitat alterations. 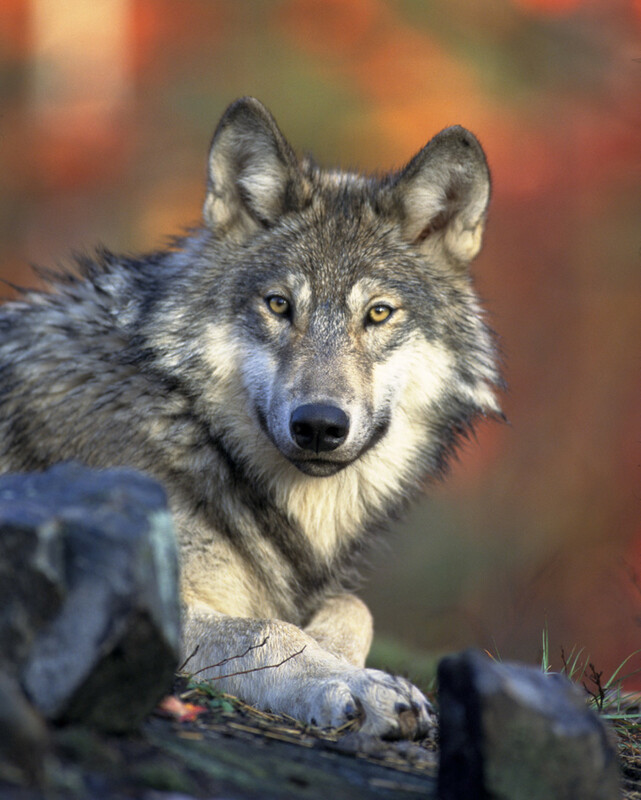 Their current population is estimated to be 5000 but decreasing. Americans love the symbol of the Eagle since it represents strength and pride and the symbol is used in a variety of ways. There is an annual Bald Eagle Festival held by the American Bald Eagle Foundation of Haines, Alaska, which will be held on November 9-13, 2011. This festival looks magnificent and offers numerous things to do even including photography training to capture these birds on film. The American Gold Eagle coins and their weight, content and purity is guaranteed by the United States government. Since they required no assaying, American Gold Eagles are easily converted to cash at any time. The minimum purchase of gold bullion coins is 5 ounces. If you want to purchase less than 5 ounces you may purchase coins at 1/10 oz, ¼ oz, ½ oz or 1 oz. Many people invest some of their savings in gold coins for they have a good history of being a good investment. Another coin that is available is the American Silver Eagles. 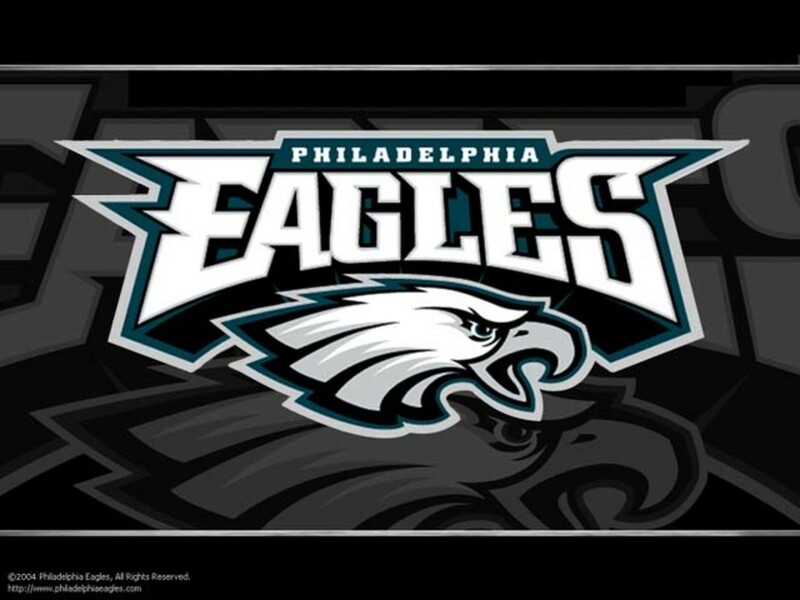 Another use of the Eagle is the logo for the Philadelphia Eagles, the well-known NFL football team. The eagle is their logo on their jerseys and on their helmets. 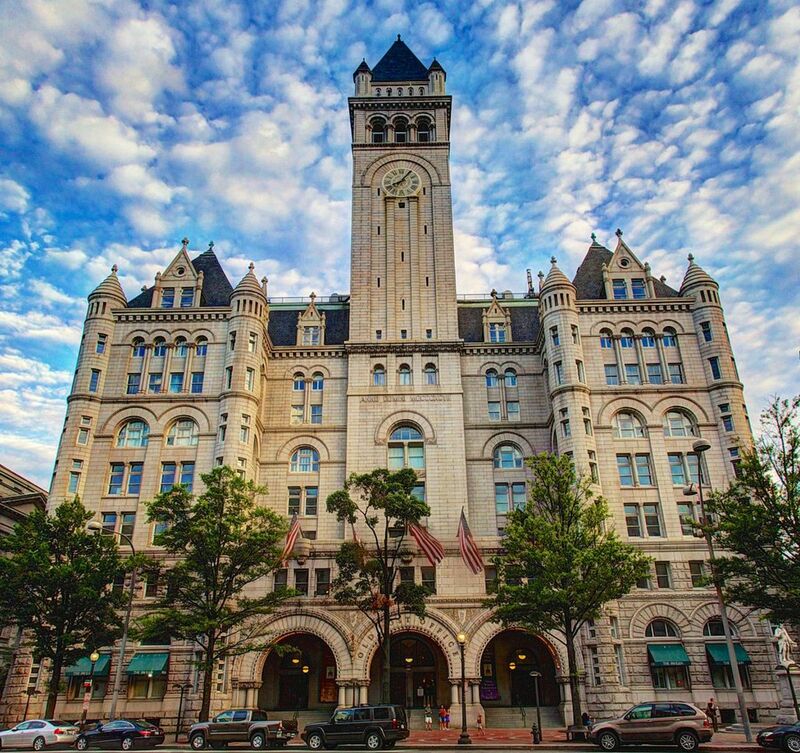 They were named initially after the blue Eagle, a symbol used for the New Deal stimulus programs initiated during the Great Depression. I don't think most people are aware of this anymore and we just think of the bald eagle as their logo. There is a beautiful mountain in picturesque Pennsylvania just southwest of the Pocono Mountains called Eagle Rock. it has 14 lighted skiing slopes for the beginner to the expert. The elevation is 1950 feet high with base elevation being 1250 feet, so the vertical drop is 550 feet; quite the ride. I have traveled this country and it is just gorgeous year-round. This particular mountain is located near Hazelton, Pennsylvania. We can't forget the Boy Scouts of America as the boys work hard to earn a leadership role where they become an Eagle Scout. 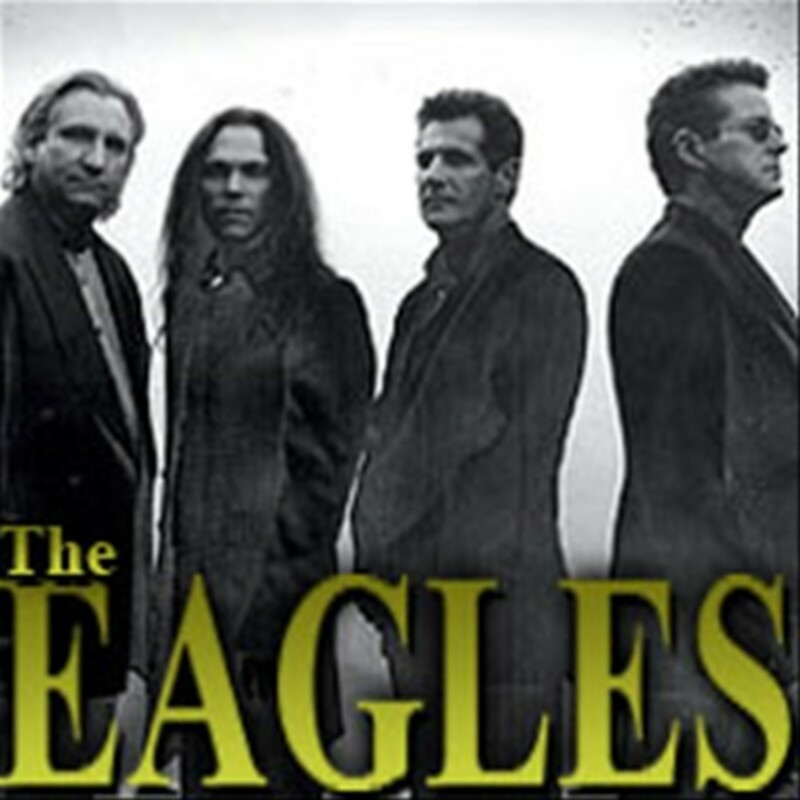 We also can't forget one of the most successful rock bands of all times, The Eagles, which was formed in 1971 in Los Angeles, California by Glenn Frey, Don Henley, Bennie Leadon and Randy Meisner. They have won six Grammys, had six number one albums, five number one singles, and they were the most successful musical act of the 1970s. They actually became America's biggest band in 1975 after releasing" One of These Nights", and adding on Felder. Unfortunately many of the eagles around the world are still on the endangered list. They are such a unique bird with their acute vision, their speed, their stamina and their large size. They certainly aren't what we think of it as a household pet as they can be fairly vicious it just feeding themselves. They are very territorial around their nest to protect the young. They mate for life and will only take on another partner if their's dies. Another sad fact is there is a large number of eagles being killed by the windmills that are being placed in the path of migrating birds for electrical power. Watching the graceful way they fly along the river looking for a fish and swoop down with such speed, then immediately pull straight back up with that fish is amazing. I certainly hope that the eagles survive all the destruction that man has made, as they would be a tremendous loss to us all. The copyright, renewed in 2019, for this article is owned by Pamela Oglesby. Permission to republish this article in print or online must be granted by the author in writing. rohanfelix, They truly are amazing birds. I appreciate your commetns. Dolores, Thank goodness the eagles have survived and grown in number. It is sad when we distroy the beautiful creatures of this world. Thanks so much for your comments. A very fascinating article about a majestic bird! I never knoew that any creature could see upto 3 sq. km and fly above the clouds to avoid rain! Voted up! Pamela, I remember when I was a kid, American Bald Eagles were few and far between. But their numbers were so greatly reduced by the pesticide DDT that the very thought of ever seeing one was just a dream. Now the population has increased so that I can usually go out and find one anytime that I like. By now, I've seen so many! But seeing one still makes my day! Jackie, I agree with the choice for out nation also as these birds seem so strong flying high above the earth. Thank you for your comments. Thanks for all that great information. I don't think I have ever seen an eagle in person, well or however you would say that, lol. I do see some birds like small airplanes sometimes I wonder if might be eagles. They do seem the stoutest and so beautiful, I agree with the choice as our nations bird very much. RQ, I knew there was some conroversy about the chice, but I certainly did not know all those details. Thank you so much for sharing that part of American history. This is very interesting.
" On the afternoon of July 4, 1776, just after the signing of the Declaration of Independence, the Continental Congress appointed a committee made up of Thomas Jefferson, John Adams and Benjamin Franklin to select a design for an official national seal. a two-headed eagle, a rooster, a dove, and a "phoenix in flames." I hope you find this useful and you're welcome to add the info to your Hub if you want. Patricia, Eagles are fascinating birds and I love that they are a symbol of our country. Thanks for your comments and the angles. Angles are being seen back to you also. These amazing birds are heart stopping every time I see one. The majesty and power that they display are such a perfect choice to be a symbol for our country. 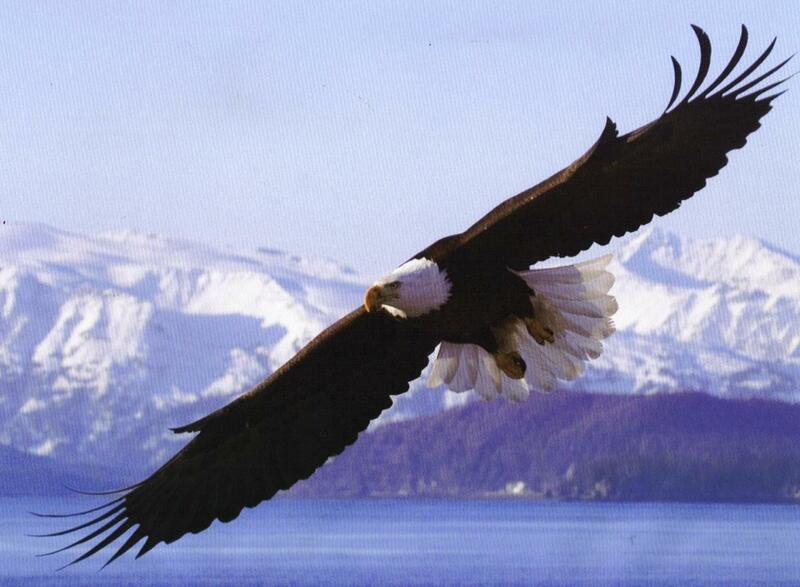 Eagles like our country can go through hard times I am sure...but they rise out of it and fly on!!! Thank you for writing this, Pamela. eddiecarrara, I didn't know that about the loons. It's true that we know so little even though I love learning new things. I appreciate your comments. Hey Pamela, great hub, very interesting facts, love all the pictures and videos. I live on the Merrimack River in NH, and I catch a glimpse of a Bald Eagle every now and then but never close enough to take a snapshot. You mention something about loons in your hub, they are another interesting bird. They have been known to swim to depths of 300 feet under water. It's funny we know so little about the world we live in, but we pick up little interesting bits of information as we go along. Hay, I'm glad you like those majestic eagles. Thank you for the comment. i mean I LOVE BALD EAGLES! ILOVEB ALD EA|G LES ! Gamer guyy, I don't post they type of comments yo yomama made but I appreciate your comment. imhustmusing, That is a neat experience and a camera would have been handy. Thanks for your comments. 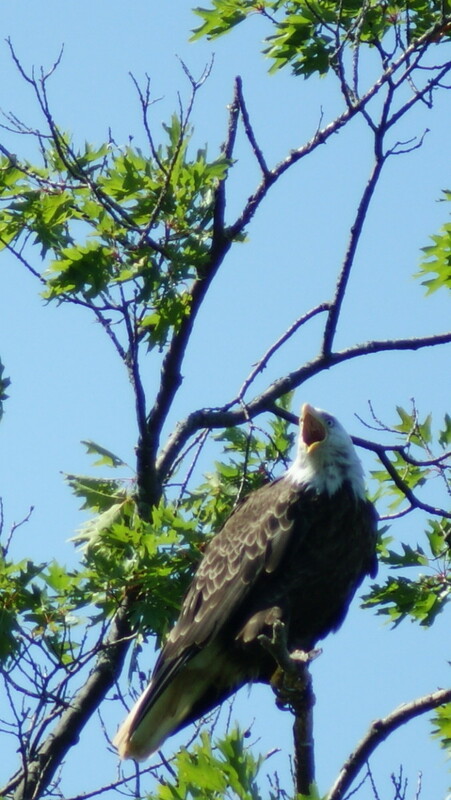 I live on a lake in Massachusetts and actually have a nesting pair of bald eagles across the lake. I actually was on the lake fishing one morning when one of them swooped down and grabbed a 12" trout out of the water about 30 feet from me. At first, I was angry, thinking he got my fish, but then, realizing that was probably a once in a lifetime thing, I wished I had had my camera. doodlebug, I'd love to take that cruise. Thanks for your comment. Hello, I appreciate your comments as usual. Congratulation to such a wonderful hub including the videos. It is such a beautiful, majestic bird and at I could see it in those videos. A great place to see bald eagles in the lower 48 is the Vanishing Texas river cruise, on upper Lake Buchanan. WannaB Writer, I appreciate your comments. Katie, I'm glad you enjoyed the hub. It was really enjoyable doing the research as I learned a lot also. I appreciate your comments. Audry, Those are two of mine also. Thanks so much for the comments. One of my favorite topics and observations over the years...we've been to a place in WA state where hundreds of bald eagles gather in the winter. It is absolutely breathtaking. Eagles and whales are 2 of my favorite subjects...thanks for reminding me! I knew you would probably like this hub since you seem to love all animals. Thanks for your comment. Awesomely done Pamela. Thank you. Roberta, I'm so glad you enjoyed the hub and I appreciate your comments. Beautiful Hub. leaarned a lot about eagles and enjoyed every word and picture. JY, I am glad to hear that you enjoyed the hub and I certainly appreciate your comments. Wow! I really enjoyed this one Pam. So much interesting information! voted up! Eidween, so glad you enjoyed the hub and I appreciate your comments. POP, I'm glad you enjoyed the hub and I appreciate your comments. Terrific hub. It was a pleasure to read this now change of pace. Up and awesome. Sampsons, I'm so glad you enjoyed the hub and a very much appreciate your comments. Tony, I'm so glad you enjoyed the hub as well and thanks for the comments. Joe, That must be a wonderful place to fish as it's so beautiful there plus you get to see the Eagles. Thanks so much for sharing your experience and your comments. Great Hub Pamela as I do admire the Bald Eagle. I watch them often in the Pocono Mountains (Pennsylvania) as I am fishing on the lakes. Pam this was awesome ! I knew there were variaties of Eagles but not like this. Great job. Voted way up ! voted up and beautiful! Very well written and informative. Darsky, I am glad you liked this hub. I think the eagles are fascinating. Love and peace to you wild child. Patriot, I'm glad you still have your sense of humor despite the mess we are in. I appreciate your comment. Princessa, It truly is impressive. Thank you so much for your comments. Pamela, Thanks for your comments. I did not include the meaning of balde although I knew it. The hub was getting so long that there were a few things I didn't include but that is particularly interesting. Great story they are indeed magnificent birds. The old English word "balde" means white. Not sure if you had that in your story. What a beautiful bird and amazing facts. It must be so impresive to see an eagle, with a wing span of about 8 feet I can only compare it to our Condor. Good hub; voted up and useful but haven't you heard, we have temporarily replaced the eagle with the Buzzard since 2008 as the Buzzard best depicts the values of this Regime! rkhyclak, Thank you so much for your comments.